Reika is a haughty rich girl with an inflated sense of superiority. She constantly flaunts her wealth to show off how high above she is compared to her classmates. Reika has a loyal lackey called Kaori Shimakura, whom follows Reika's whims to the letter. 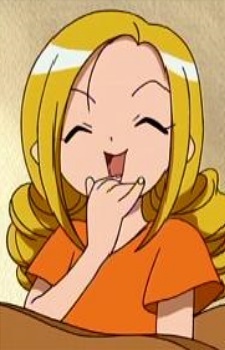 Reika is also regularly seen as an annoyance to Doremi and her friends. Reika's lack of self awareness is precisely why she has barely any friends, which, ironically, despite her materialistic wealth, are what she desires most. Eventually, Reika manages to befriend Momoko Asuka after the latter has transferred to Misora Elementary.